As We Get Closer to Winter are You Thinking of an Island Getaway? Consider Brownsea Island! 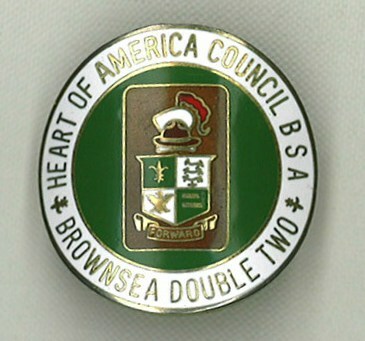 My brother and I were both members of Troop 22 as part of Heart of America Council’s Brownsea training course. He in the late 1980s and I in the early 1990s. 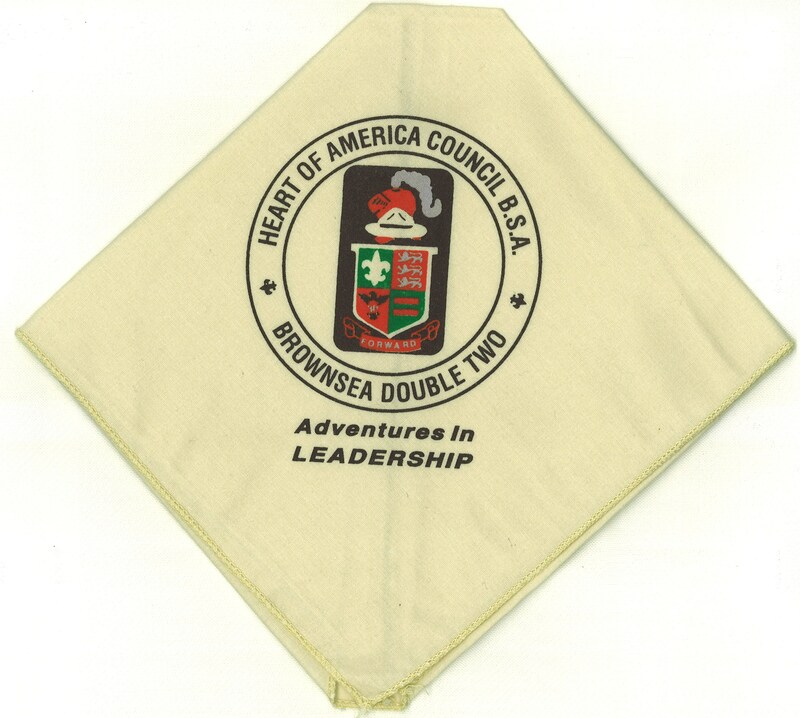 I remember that week learning outdoor and leadership skills fondly. 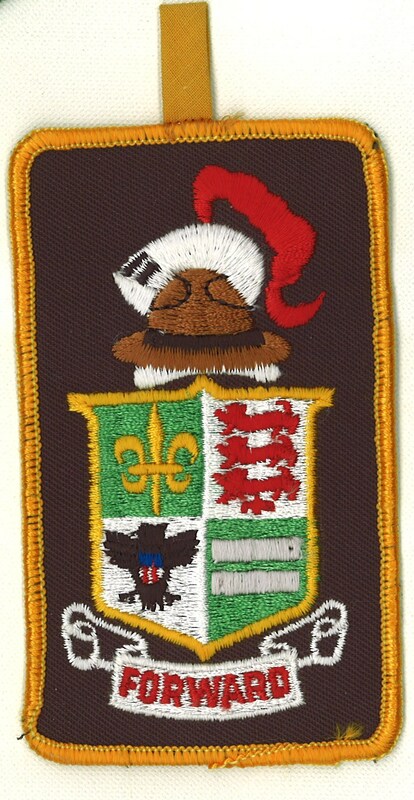 We both took the course at Bartle, but it was also held at Camp Powell and currently it is held at Camp Naish. 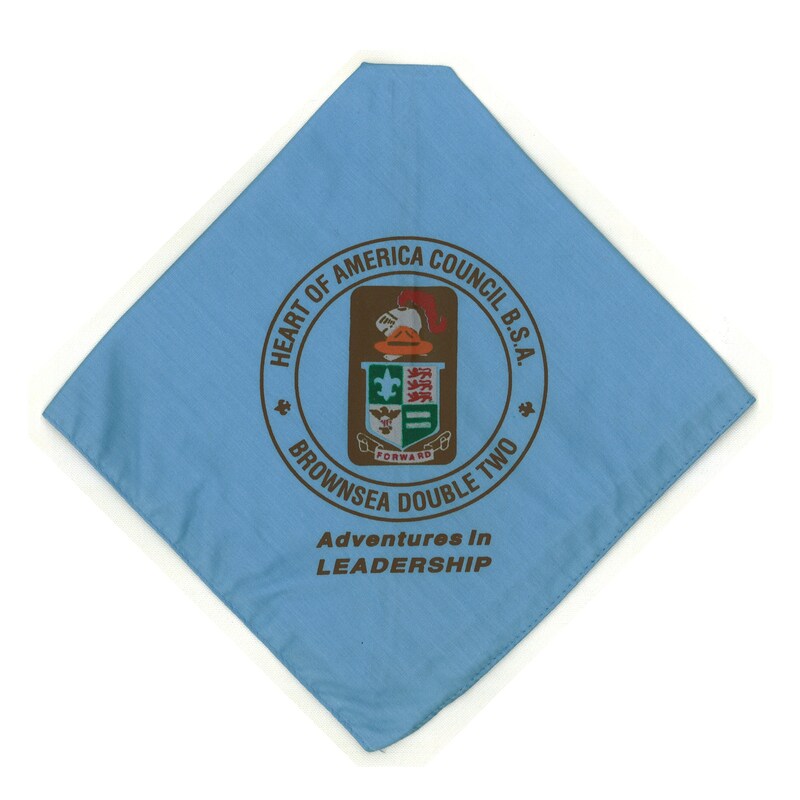 I found our neckerchiefs and other assorted items the other day…but I am sure what I have pictured below is just the tip of the iceberg for Kansas City area Brownsea items. For example, I know the belt buckle and patches have changed, and I have seen other neckerchiefs not shown below. Have a look…and feel free to send along any other images from your days on Brownsea Island. 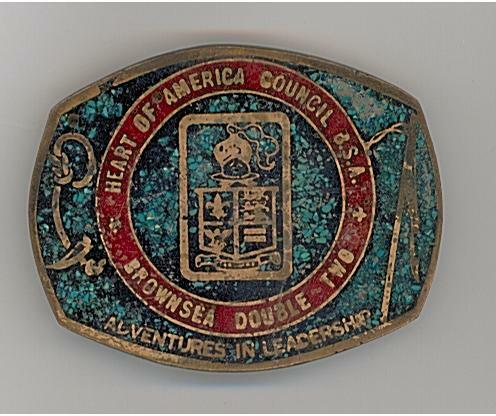 For more information, Wikipedia has a good overview/history of the BSA’s leadership programs, Brownsea included. This week we stray to the east, to what is now Powell Gardens. 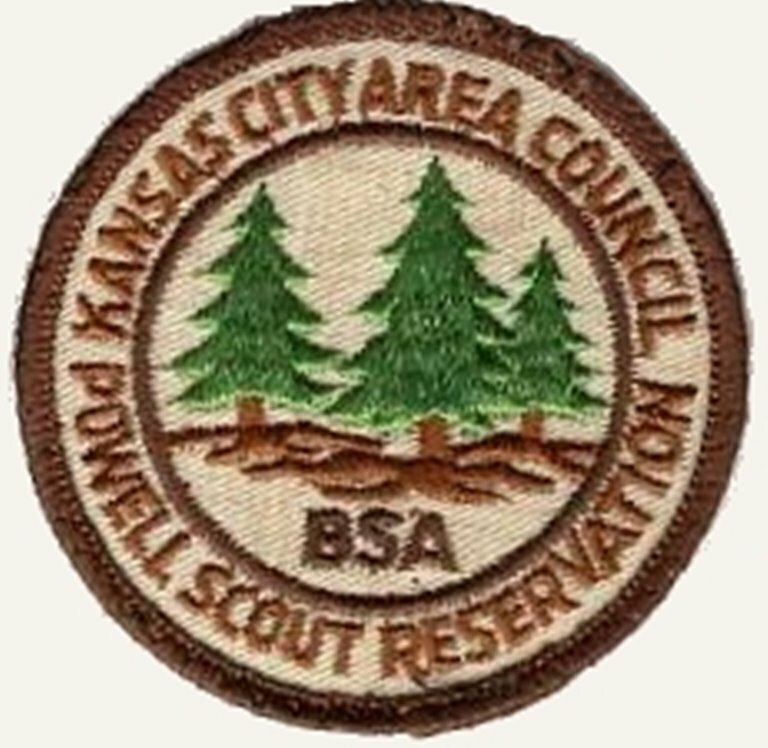 As you may know, Powell Gardens, the very popular botanical garden, southeast of Kansas City, was previously a Boy Scout Camp. The history web page for the gardens states, “Mr. 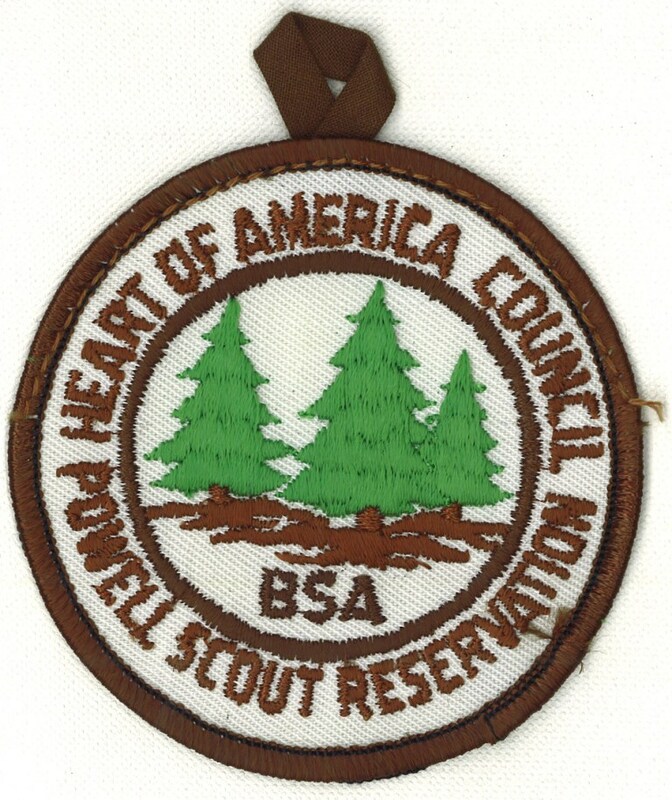 Powell donated the 640-acre farm to the Kansas City Area Council of the Boy Scouts of America, who used it as a regional camp until 1984,” at which time Heart of America Council disposed of the property. 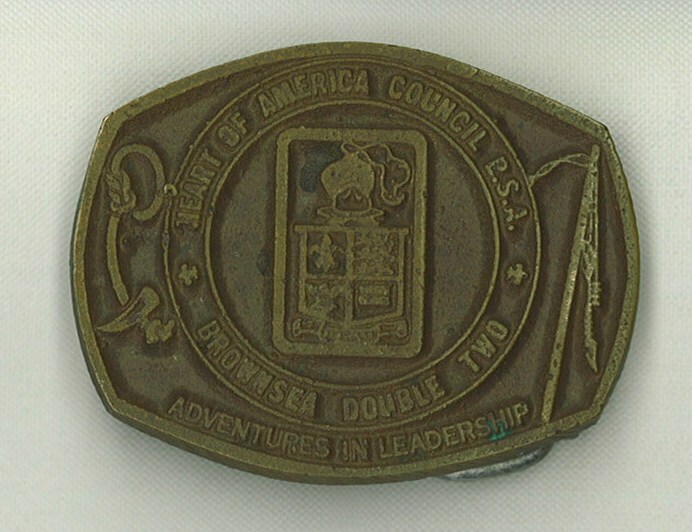 In reading, Trail to Eagle: Six Decades of Scouting in Kansas City, there is reference to Camp Powell being split into two sections: one for district and unit events and one for training. 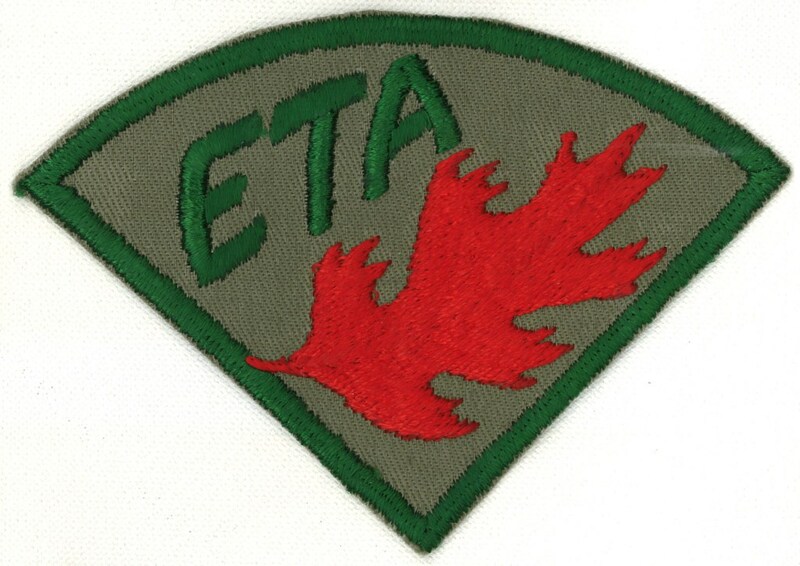 The book states that Ernst Training Area (ETA) was located near the largest lake. Camp Powell was used for training activities for youth and adults. 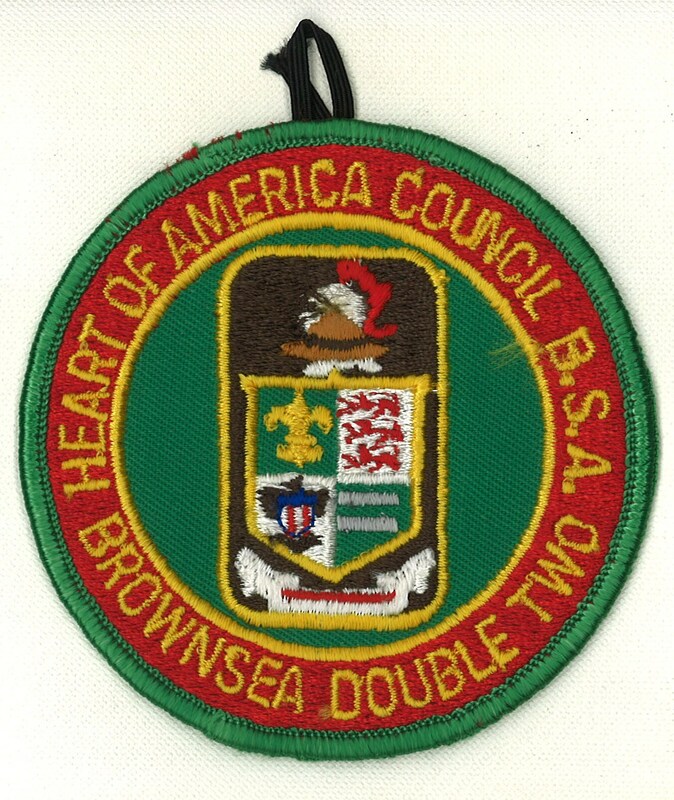 In the early 1980s the Brownsea leadership camp was held at Camp Powell. 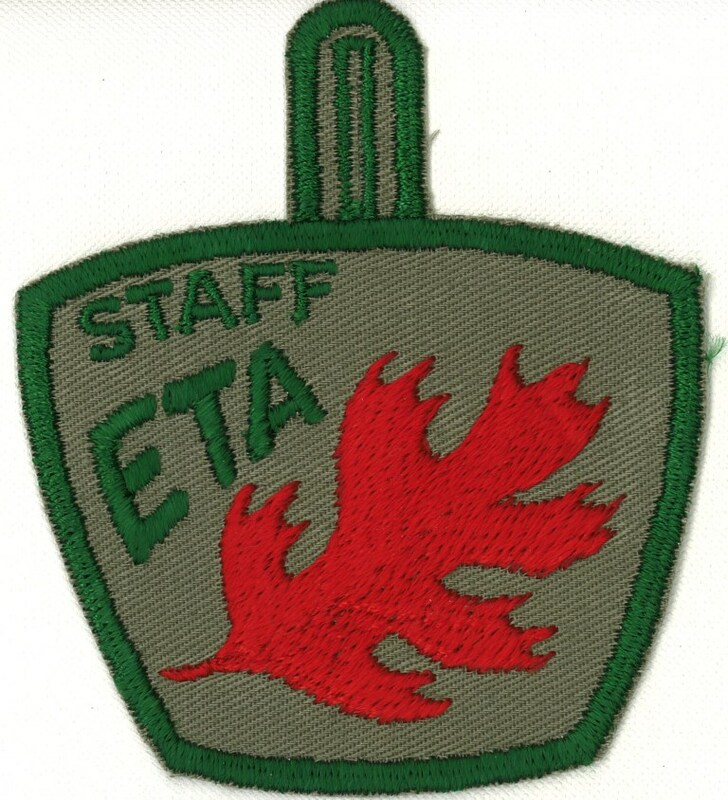 Did anyone attend training at the Ernst training area? 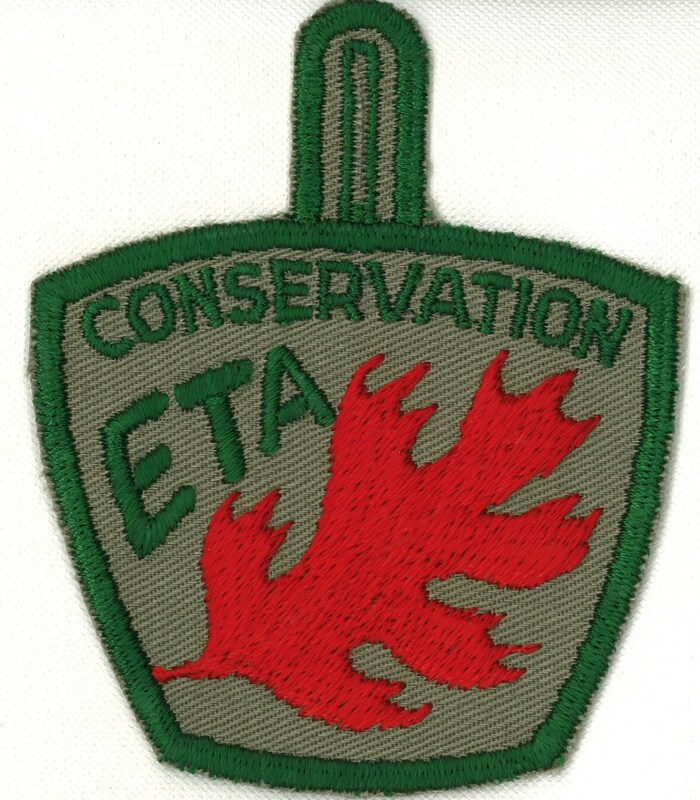 Does anyone recognize the patches? 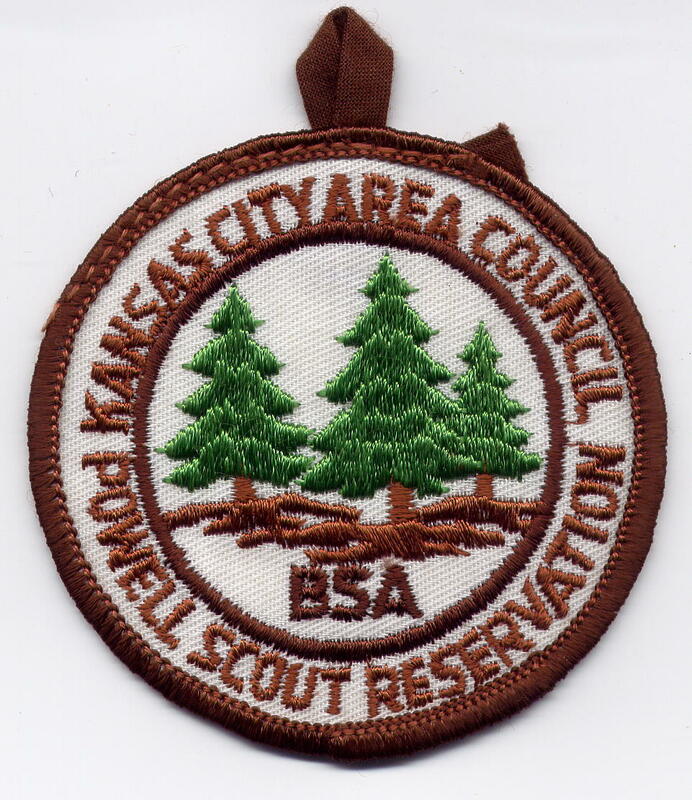 In response to this post, reader Matt Perryn sent the following scan of a KCAC-era Powell Scout Reservation Patch on white twill. 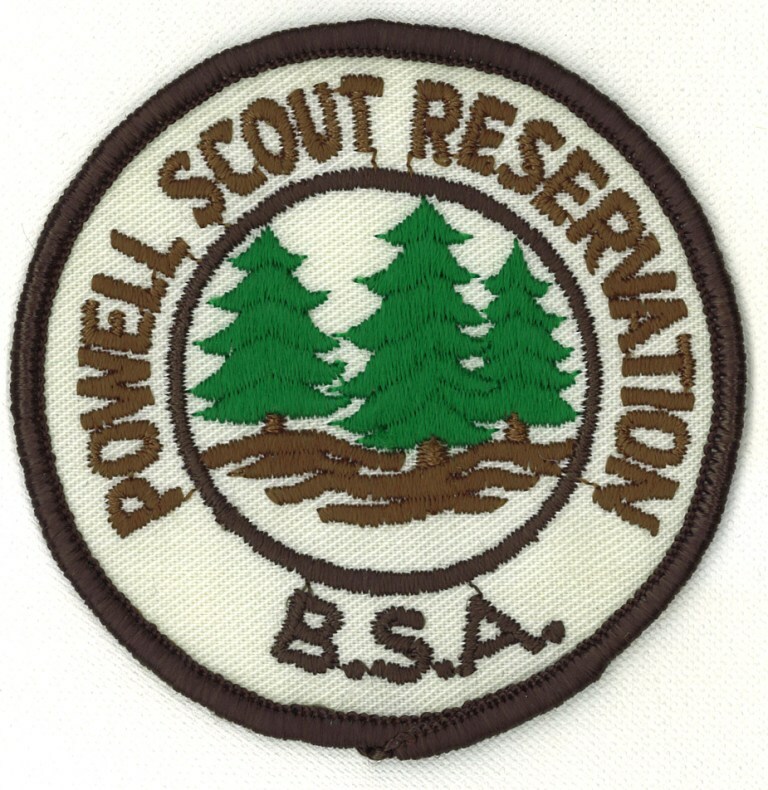 Compare to the first Powell patch above which has an off white twill background. Thanks, Matt!